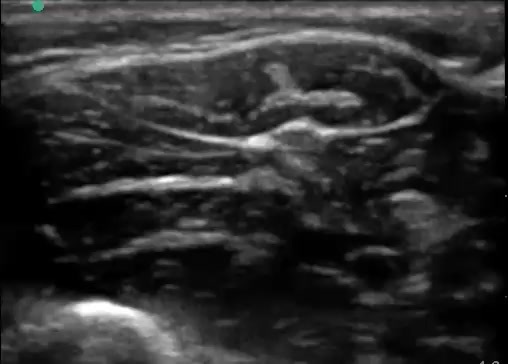 Learn the ulnar nerve block in <5 seconds! Find the ulnar nerve next to the artery at the wrist, then track it up the arm until it splits. Inject 3-8 cc’s around the nerve using a long-axis approach.